The spreader blaock has a crossbar for added strength and to provide a convenient handle for lifting bigger fish. The mesh on the sides is bigger to reduce water resistance and improve manoeuvrability and finer mesh on the base to cradle fish. 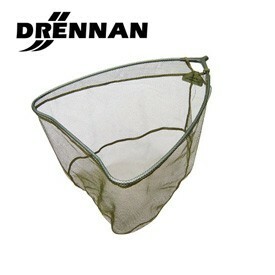 Drennan Specialist Landing Net Head 26"
Drennan Specialist Landing Net Head 24"